Isn't it adorable? Do you know what it's for? You've guessed it, it's for Vernal Equinox Day, also known as The First Day of Spring! Today in Japan, Vernal Equinox Day is celebrated as a national holiday called 春分の日 (Shunbun no Hi). On Shunbun no Hi, the daylight hours and nightly hours are equal, marking the official change in seasons from winter to spring. On my way to work today, I passed by a beautiful Somei Yoshino (a kind of cherry blossom) in full bloom. Its flowers were gently waving in the warm spring breeze. It certainly feels like the first day of spring! Shunbun no Hi is actually a part of a seven-day long festival in Japan called 春の彼岸 (Haru no Higan). Today it's observed as a time for change, such as cleaning and re-decorating our homes, or taking up a new hobby and so on. Traditionally, people take this time to pay homage to their ancestors by visiting their loved ones' graves with their families. While spending time with our families, we can enjoy and embrace the change in seasons. Here's a beautiful cherry blossom tea pot made from genuine Kutani pottery. Imagine having a pleasant tea time under the cherry blossoms...how soothing. These are Japanese bath salts made from cherry blossoms. You can enjoy the scent of cherry blossoms while relaxing in a sakura-pink bath. Want a truly Japanese-styled bento box? This beautifully designed box is shaped as a cherry blossom! 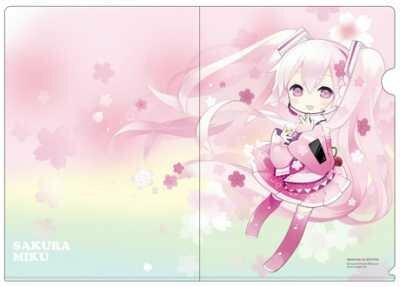 For you Vocaloid fans out there, we've got many Sakura Miku goods in store as well! If you're more into novelty items, then you can become the great super hero, Sakura Man, with this hat! (Though I don't think there's a super hero like that haha). We've got something elegant and lovely for the ladies as well, for anyone interested in being a Sakura Lady haha (yes these are actual products at J-Subculture). If you're interested in other cherry blossom-related products we have at J-Subculture, just scroll through some of the items listed below. Appreciate the start of spring through these various cherry blossom goods. Let's rejoice the start of spring through sakura!